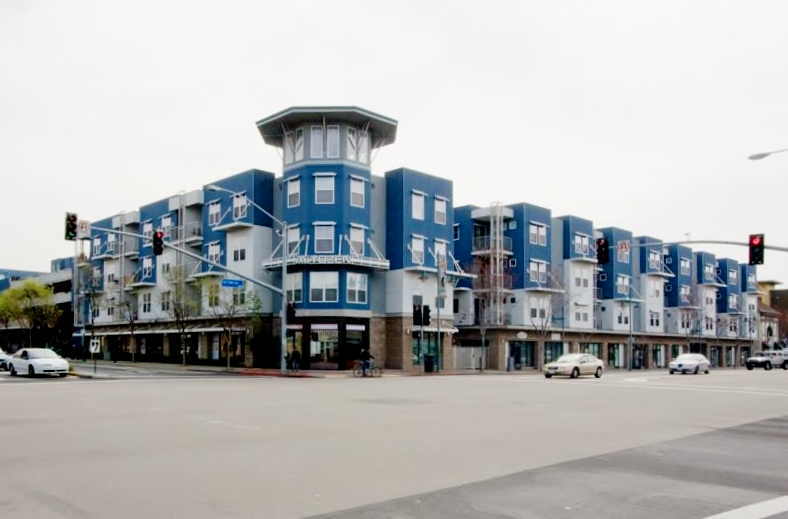 Andante is a 102 unit mixed use project with 11,000 square feet of retail; 5,000 feet for a restaurant, a 4 story 13,5000 s.f office building and a 5 level, 280 space parking garage. 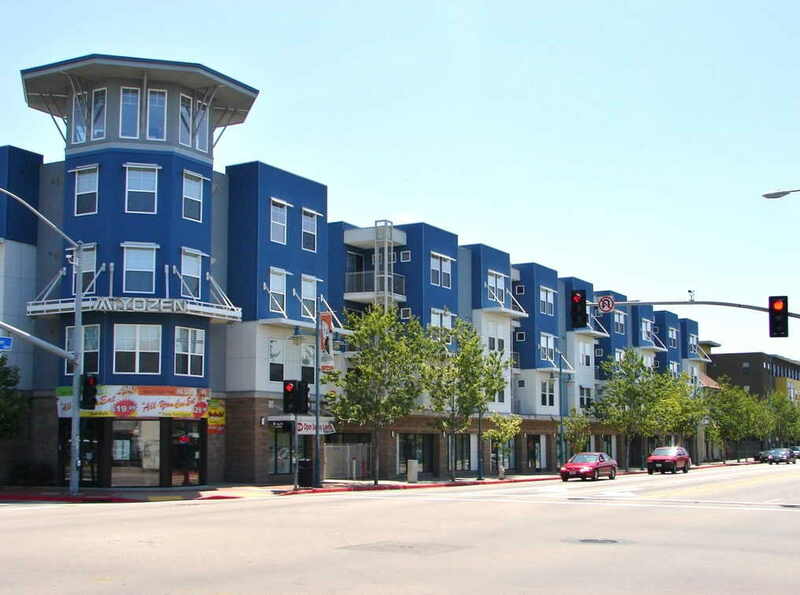 This project is located on the corner of the 40th Street and San Pablo Avenue in Emeryville. 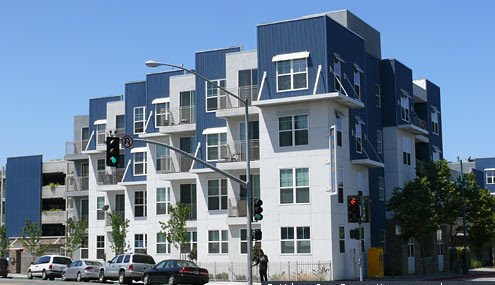 The aesthetic is derived from the adjacent warehouses and overall industrial character of the neighborhood. 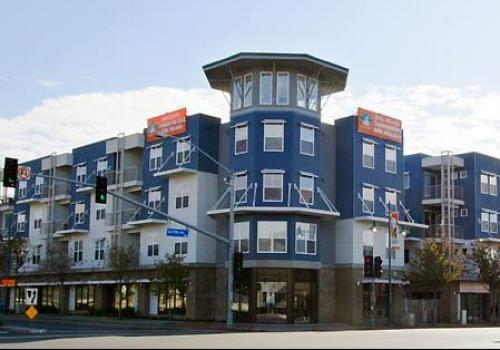 The exterior finish materials are courrugated steel siding and fiber cement panels with woven metal balcony railing. Circulation within the site is via a series of elevated walkways that connect the various residential buildings with the garage. The developer is SNK Development Inc.